One of the county’s two new ambulances, a gleaming white vehicle with several modifications and improvements over the older type, has recently been delivered to Rushden Ambulance Station. The new ambulance will be garaged at Rushden, but will serve other towns in the district when the need arises, and ambulances based at other towns will also assist if necessary in the Rushden area. 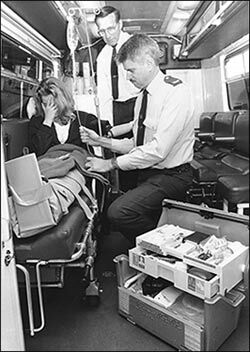 The new design incorporates several improved fittings including an adjustable trolley-type stretcher of the type used in American ambulances. This replaces the fixed type of stretcher. 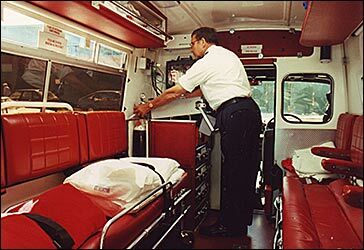 There are also a number of adaptions to improve the patient’s comfort while travelling in the ambulance. 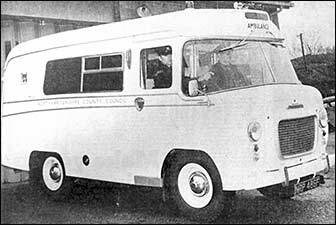 At present the County Ambulance Service has only one other ambulance of this type, but is awaiting delivery of four more. 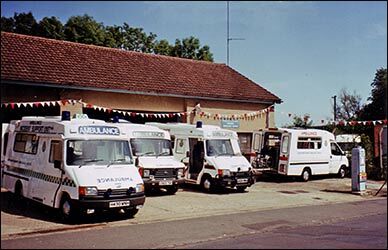 Rumours that Rushden ambulance station is to close down have been crushed by the county’s deputy ambulance officer. Mr. Matt Devereux said that fears that the ambulances and their crews would be moving out of the Station Road depot were “absolute nonsense.” Mr. Devereux was unable to say if there would be any changes at the Rushden station in the near future. “The ambulance service is under general review, but there has been nothing concrete agreed upon in relation to any station at the moment,” he said. “No decision has been taken for the immediate future.” He could not say when a decision would be made. Almost two years ago Mr. Harry Bailey, county councillor for Higham Ferrers, fought plans to cut down on the services at the Rushden Station. Mr. Bailey, of 9 York Road, Higham Ferrers, said he had heard of no new developments but would make a check to find out. 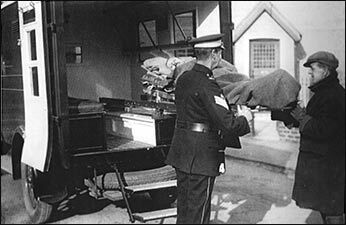 “I believe we ought to have ambulance facilities at Rushden. The A6 is a dangerous road  almost every day there is an accident of one sort or another on it. Rushden is nearest to it,” said Mr. Bailey. Dr. Paul Wix, a member of the new county council, who lives on the A6 on the outskirts of Rushden, said he had heard the Rushden facilities ARE to be curtailed. At present the station is unmanned overnight, but the Rushden ambulance men remain on call. Dr. Wix understands that in the not too distant future the Rushden night service is to be scrapped. Instead Wellingborough will cover the area with two night crews on duty  one from Rushden. He said people are afraid that this will only be the thin end of the wedge. Mr. Arthur Colton county council chairman said the rumours were news to him, and the issue had not yet been raised before the county council or its health committee. But he did say there was soon to be a special meeting to discuss ambulance drivers’ hours by the nationwide County Council Association health committee, of which he is chairman. 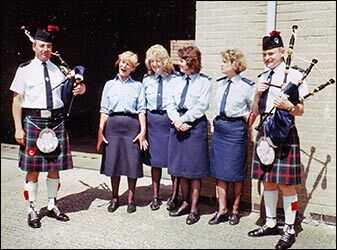 The Station Officer in 1987 was John Harley. 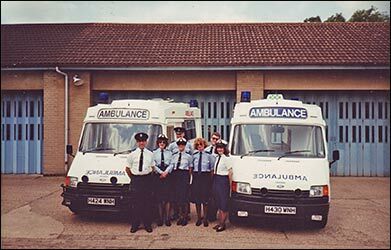 just across the road, in 1987.
to provide funds for defibrillators at Rushden Ambulance Station. CHARITY workers in Rushden have helped equip a front line ambulance in the town with life saving equipment. The Rotary Club of Rushden raised £1,800, at events including a jazz evening and auction, towards a heart monitoring defibrillator unit for an ambulance serving the town. 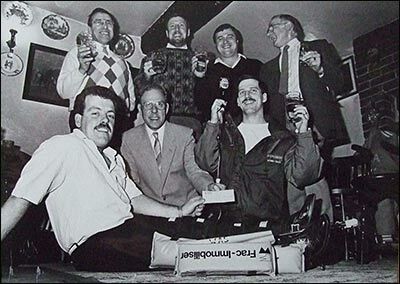 A further £300 was given by Rushden Rotaract Club and £400 was provided by the Ambulance service itself. 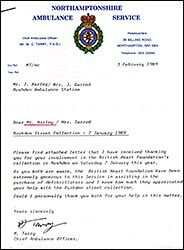 The remaining £1,000 came from the British Heart Foundation. The equipment was handed over by Rotary president Arthur Wright and chairman of the Club's community service committee, Bill Clifton. 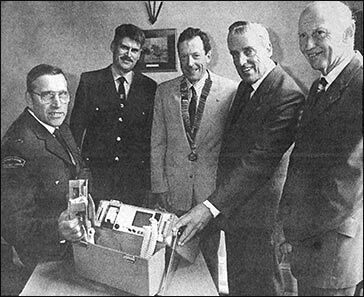 Ray McLellan, county organiser of the BHF and himself a heart transplant patient, described the importance of the machine. 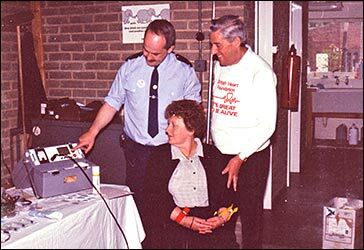 John Harley, leading ambulance technician at Rushden said: "The machine monitors the heart on the journey to hospital and can also be used to restart the heart." The Ambulance Station staff put their equipment on display and attracted crowds. They raised £285.34 to buy extra equipment for the ambulances. SOPHISTICATED skills mean a sophisticated service from ambulance crews to patients. Ambulance crews respond to emergencies 24 hours a day and help out with non-emergencies including transporting patients to and from hospital for admissions, transfers and discharges. Each crew consists of a technician and paramedic, who are both dependant on the other to help save lives quickly. A technician has gone through 200 hours of training and assesses and treats patients. A paramedic has usually undergone further training totalling 320 hours and is able to restart hearts, put a drip in, put tubes down patients' throats and administer extra drugs. Paramedic Chris Cook and leading ambulance technician John Harley, pictured here, work as a team at Rushden ambulance station. Group station manager of Wellingborough and Rushden ambulance stations John Drage, who oversees nearly 30 staff, said: "The ambulance service provides a caring service through teamwork which benefits the patient." 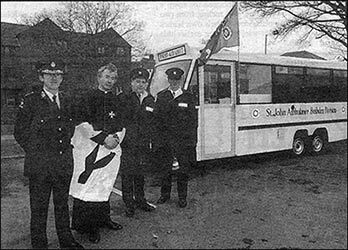 Rev David Saint, St John Ambulance County Commissioner, Dan Sweeny, Divisional Superintendent, David Garratt and St John member, Brian Robinson. 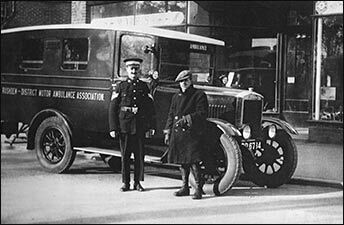 THE ST JOHN Ambulance this week celebrates one hundred year's service in Rushden. 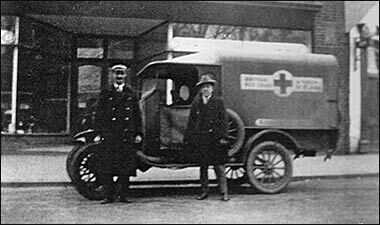 A series of centenary celebrations have been launched including the dedication of a new £11,000 mobile first-aid unit to the town's division which took place on Sunday. 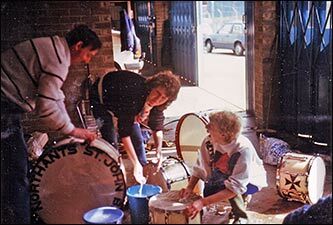 The unit, which includes a fully fitted treatment room and kitchen, was converted by St John members. St John member, Ken Patrick said: "When we have a new vehicle we always dedicate it. It's a way of showing that the ambulance is there for the people."